Firefighters Caution - "Heating Equipment Causes Additional Concern This Year"
A few raw cold, rainy days in early October sent citizens to the warmth of their homes. To generate heat, some even “fired” up their space heaters, furnaces, and fireplaces. Unfortunately, there were several occurrences that should serve as a reminder to annually have our heating equipment cleaned and checked by a professional. In so doing, we can ensure they are working properly. Laurel apartment building on Saturday, October 1, 2011. This past weekend’s cold weather may have played a role in the following incidents: a malfunctioning furnace generated a 2-alarm fire in Laurel; a furnace started a fire in a College Park home; there was a chimney fire in a Fort Washington home; a malfunctioning furnace filled a Greenbelt apartment with smoke; and a space heater may have overloaded an electrical circuit, causing a house fire in Landover. This year, there is an increased concern from fire service professionals for possible hazards created by the earthquake that occurred in August. Chimneys and ventilation pipes may have been damaged, which could be impossible for the homeowner to visualize. A licensed professional can check these critical paths of ventilating hot embers, smoke, and exhaust to ensure no damage occurred during the earthquake that could lead to fires and carbon monoxide build-up. Homeowners and property managers need to take action now, during mild weather conditions, to schedule heating equipment cleaning and inspections. There are some basic maintenance matters that homeowners can take care of now. • Clean clutter from around your furnace and water heaters. 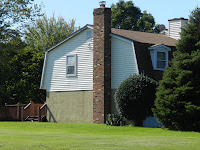 • Visually inspect your furnace, ventilation pipes, and chimneys for any obvious signs of damage. • Install and maintain smoke alarms and carbon monoxide detectors in your home and place of work. Test alarms monthly, and replace batteries at least once-a-year. 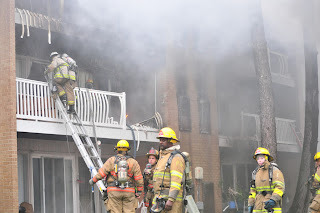 The Prince George’s County Fire/Emergency Medical Services (EMS) Department has partnered with the National Fire Protection Association (NFPA) to provide you with information on how to stay safe from the perils of fire and carbon monoxide. Let us review some facts and figures concerning heating. • Fires involving heating equipment peak in December, January, and February, as do deaths from these fires. Overall, home fires and home fire deaths are also more common in the cooler months of the year. • Heating equipment was the second leading cause of all reported home fires and home fire deaths. • The leading factor contributing to heating equipment fires was failure to clean, principally creosote from solid fueled heating equipment, primarily chimneys. • Half of home heating fire deaths resulted from fires caused by heating equipment too close to things that can burn, e.g. upholstered furniture, clothing, mattresses, or bedding. • U.S. fire departments responded to an average of 64,100 heating-related home fires each year between 2005-2009, causing an average of 560 deaths, 1,620 injuries and $904 million in direct property damage. 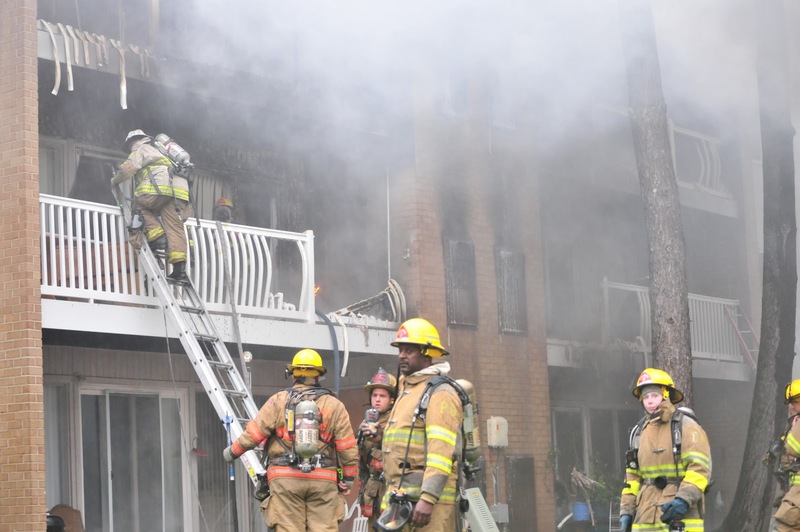 The men and women of the Prince George’s County Fire/EMS Department want you to stay safe, and some simple steps can prevent most heating-related fires from happening. Remember, Safety First and Everyone Goes Home. • Keep anything that can burn at least three feet away from heating equipment, like the furnace, fireplace, wood stove, or portable space heater. • Test monthly and maintain smoke alarms and carbon monoxide detectors. For additional information about a home fire safety check list contact the Fire/EMS Department’s Community Outreach office at 301-883-5250. To have a smoke alarm installed in your home, free of charge, contact our Safety First Smoke Alarm line at 301-864-SAFE (7233). A 22-year veteran of the Prince George’s County Fire/Emergency Medical Services (EMS) Department has been appointed to the position of Deputy Director of the Department. County Executive Rushern L. Baker, III announced on Tuesday, October 4, that Neal B. Dennis is his selection to serve as the Fire/EMS Department’s newest Deputy Fire Chief. Effective Monday, October 10, 2011, Major Neal Dennis will become the Lieutenant Colonel in charge of the Emergency Operation Command (EOC). This command is a very demanding position that oversees 90 percent of the Fire/EMS Department’s personnel and resources that respond to emergency and non-emergency service calls. Dennis, who was serving as a Major in charge of the Department’s Professional Standards, has served the citizens and residents of Prince George’s County in various assignments throughout his career within the Fire/EMS Department and County Government. He started with the Fire/EMS Department in October 1989, as a recruit firefighter and has worked his way up through the ranks. He will now serve as the Deputy Director of Emergency Operations in one of the largest and busiest combination career and volunteer Fire and EMS Departments in the country. The position became available with the retirement of Acting Lieutenant Colonel Jerry LaMoria, following 27 years of dedicated service to Prince George’s County. Neal Dennis joins Scott Hoglander and Ben Barksdale as the third Deputy Director/Deputy Fire Chief of the Fire/EMS Department. Dennis grew up in College Park and currently resides in Bowie with wife Stacy and their three children.